Poole: Arms & Armour Press, 1987, Hardback in Dust Wrapper. From the cover: “Otto Skorzeny, Chief of Germany’s Special Troops, became world famous overnight when, with a daring glider-borne attack, he rescued Mussolini from the mountain prison of Gran Sasso. Fearless and resourceful, his many subsequent exploits include the kidnapping of the Hungarian Regent’s son — wrapped in a carpet — and the infiltration of troops disguised in American uniforms behind Allied lines during the Battle of the Bulge in December 1944. This is the true story, based on personal interviews with the author, of one of the legendary characters of World War Two — and one of the half-dozen pioneers of special forces. On the wings of his first, spectacular success, Skorzeny soared over the heads of his contemporaries into Hitler’s approval. By the time Skorzeny became head of Germany’s special forces, the war was as good as lost; but he was bent upon any risk to win it. Again and again, the darkness gathering around the failing Reich was lit by a flash that revealed the mark of Skorzeny’s handiwork — improbability. Brought to trial at Nuremberg, he was denounced by the Allied Chief Prosecutor as "the most dangerous man in Europe". On the testimony of Allied officers, he was acquitted. Then, following his release, the Russians made two attempts to carry him off to Moscow, as part of the “talent collecting” operations that had netted them some of Germany’s top atomic and rocket scientists. Foreword or introduction by Sir Robert Laycock. Size: 8¾" x 5¾". Green boards with Gilt titling to the Spine. 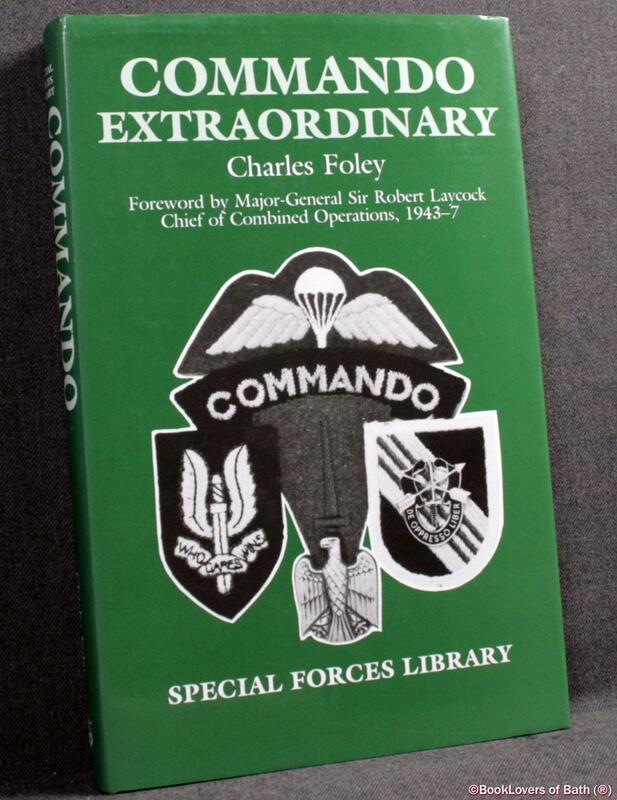 In the Special Forces Library series. 251 pages.